iMovie on the iPad has two different ways to record: Movies and Trailers. If this is the first time that you have used iMovie with your students, start with trailers. These are preloaded/templated movies that are ready for the students to film. There are a variety of templates to choose from, each with its own music and shot selection. The trailers vary in length from about one minute to almost two minutes. These are perfect for getting to know you videos. Use the templates below and have the students plan their shoot. Each student must be visible at least once in the video. At least one fun fact about each student is shared in the video. The video needs to be something the principal would watch. 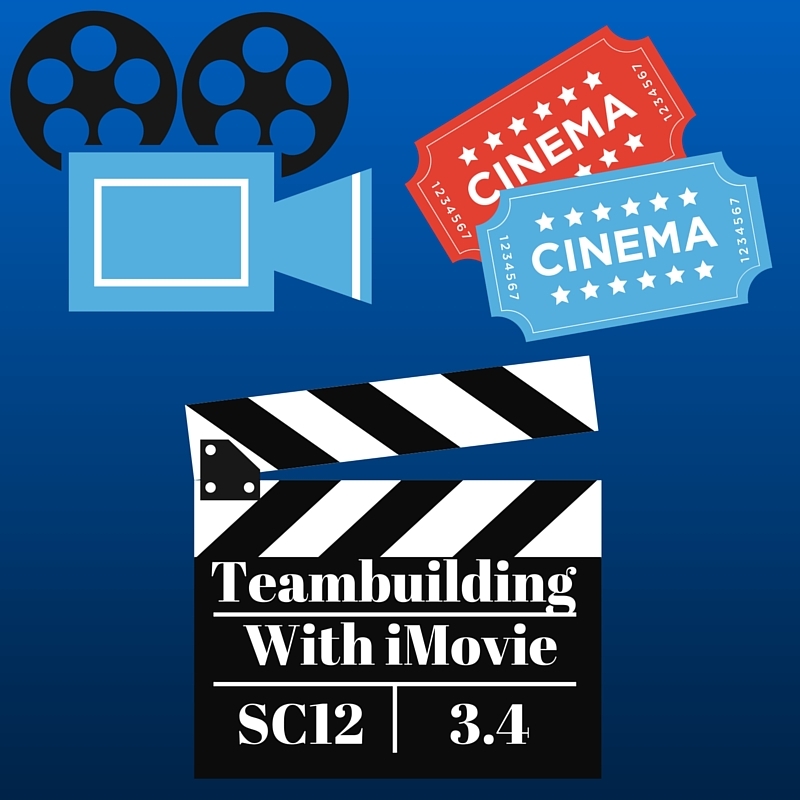 Once students have used iMovie, you can tweak the teambuilding to match your classroom style. Students can create content, create short classroom news spots, interview administrators…the limit is your imagination! iMovie can also be used to make full feature movies. On the iPad the app is intuitive and easy to navigate. It can use photos or movies that are already on the iPad or you can take photos and movies that work within the current project. iMovie on the computer will need to have the photos and video imported into the project. As with other teambuilding activities, it is important to debrief on successes and failures, celebrate risk, and recognize the unique role each student plays in your class. Students can also blog their about their experiences, the good, bad, and ugly in a class blog. Students should comment on at least two other blogs as well. *It is not necessary that you be an expert iMovie user. The students will develop strong teams as they explore the app together. Let them do this. Limit your instructions, let the students explore, and be amazed by what they create!